It’s February! The new year of the bacon is a prime opportunity to check off another resolution and expand your social network whilst making new friends- or looking for that special someone for Valentine’s Day! Come get lively with us as we dive right in to vibrant, dynamic Hong Kong at the February Newcomers’ Event. This event is a perfect opportunity for you to get to know other expats newly arrived to the city who are also navigating through the same mire of questions you may have: housing, restaurants, nightlife, tips and tricks that will ease your life in Hong Kong. Whether you’ve recently arrived or have been floating around looking for like-minded peers, come and join us at HQ by Terrace Concepts, located in bustling LKF, on Monday, 11 February at 19:00. Let's meet, network, have fun and ease into reality after the Lunar New Year holidays! There will be a special game that will help break the ice and allow you to get to know your fellow expats a little better, so DON’T FORGET TO BRING A PEN OR PENCIL. GIVEAWAYS: all attendees of the February Newcomers’ Event are eligible to win: a bottle of spirits of your choice sponsored by our venue, comedy show tickets by our sponsor Takeout Comedy, and a special welcome discount coupon by sponsor OkSir! If you would like to volunteer at the front desk to check people in for their name cards, the time slots needed are 19:00-20:00 and 20:00-21:00. Please PM Sarah Lee if you’d like to contribute. If you have any questions, PM Sarah Lee! This event is organized with the help of the Hong Kong Ambassadors and the InterNations HK Support Team. OkSir seamlessly connects customers to service professionals through the OkSir app. Laundry, Part Time Maids, Electricians, Plumbers, Pet Grooming, Queuing, A/C Cleaning and Repairing are just a few services to begin with. The OkSir App offers more than 300 services with over 5,000 verified service providers. 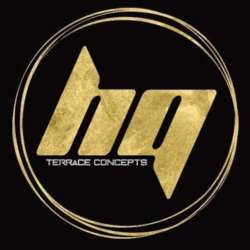 HQ by Terrace Concepts, a hidden gem located on 1 Lyndhurst Terrace, appeals to your inner child, showcasing a selection of beer pong, flip cup and slap cup. Modern decor, spacious terrace, and ambience lighting set the scene for a fun-filled networking event with special InterNations drinks rates at “Buy One, Get One Free” for all drinks purchased at the cash bar from 19:00 to 23:00.